The resort town of San Pedro on Ambergris Caye in Belize continued to recover Friday, Aug. 30, following a devastating fire that destroyed most of the popular Ramon’s Village Resort. 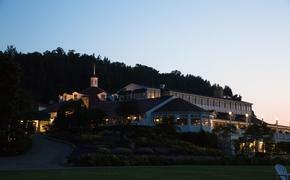 The fire broke out around 8 p.m. on Aug. 27 in a room at the resort and burned for nearly three hours. Guests were evacuated before the fire became widespread, and no injuries were reported. The cause of the blaze remains under investigation, according to local media reports. The fire not only razed the resort but cut electrical power to the entire island for nearly an hour. Press images from the blaze showed a heroic effort by firefighters, joined by police, resort staff, guests and local residents, to extinguish the fire. Firefighting efforts were hampered by major street rehabilitation under way on Coconut Drive, a major thoroughfare adjacent to the resort, which limited access to the blaze, and low water pressure due to the loss of electrical power. Belize Tourism Board’s Quality Assurance department, designed to ensure travel suppliers comply with safety and quality regulations, reported Ramon’s Village Resort to be in full compliance following a Dec. 16, 2012 inspection, the statement added. Although the resort was heavily damaged, 40 cabanas and the dive shop facility remain functional and in operation. “We are confident that Ramon’s Village Resort will bounce back from this rather unfortunate and unforeseen incident with the help of residents and other local tourism partners,” the Belize Tourism Board added.